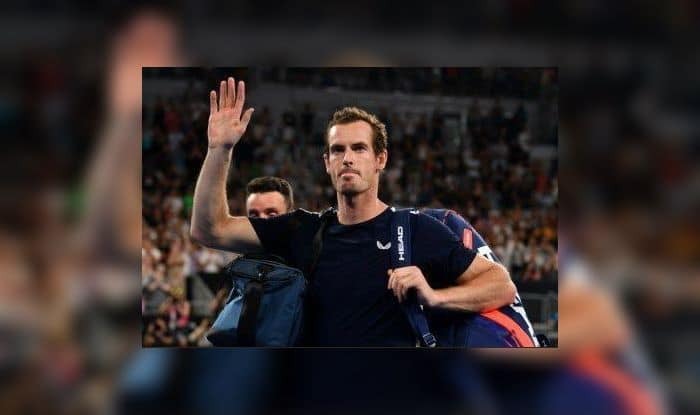 Australian Open 2019: A battling Andy Murray bowed out of the Australian Open at the first hurdle Monday, but it was business as usual for ruthless Roger Federer and Rafael Nadal who joined Caroline Wozniacki in round two. Australian Open 2019: A battling Andy Murray bowed out of the Australian Open at the first hurdle Monday, but it was business as usual for ruthless Roger Federer and Rafael Nadal who joined Caroline Wozniacki in round two. The Scottish five-time Melbourne Park finalist gave it everything he had and showed glimpses of the form that won him three Grand Slams, but his ailing body let him down during a gutsy 6-4, 6-4, 6-7 (5/7), 6-7 (4/7) defeat to 22nd seed Roberto Bautista Agut. Murray tearfully revealed before the tournament that he was in constant agony from a hip injury and planned to retire this year. The 31-year-old hopes to end his career at Wimbledon, but has admitted the Australian Open could be his last event, unless he has a late change of heart. Andy Murray Withdraws From Wimbledon 2018. “Amazing. That was incredible, thank you so, so much to everyone that came out tonight,” he said after being given a rapturous send-off. While his tournament ended in despair, Swiss master Federer, six years older than Murray, continued his march towards a record seventh Australian Open title. He swept past Uzbek Denis Istomin 6-3, 6-4, 6-4 said he was in “disbelief” that he was the double defending champion at his age and vowed to give his all to make it three in a row. “I’m going to try everything possible (to win again) and leave it all on the court,” said the world number three. His long-time rival Nadal, who cut short his 2018 season to have surgery on a foot injury, showed no mercy to Australian wildcard James Duckworth in his opening round clash. The 17-time Grand Slam winner cruised through 6-4, 6-3, 7-5 and said it was an important victory. “Not easy to come back after a lot of months, especially against a player playing super aggressive on every point,” said the 2009 Australian champion, who showed no sign of any injury worries. “The energy I feel in this place is fantastic.” The second seed is bidding to become the first man in the Open era, and only the third in history along with Roy Emerson and Rod Laver, to win each Grand Slam on two or more occasions. Fifth seed Kevin Anderson progressed, as did NextGen Finals champion Stefanos Tsitsipas. But ninth seed John Isner became the first top seed to crash out. World number three Wozniacki, who made her Grand Slam breakthrough in Melbourne last year, opened her defence with a convincing 6-3, 6-4 win over Belgium’s Alison van Uytvanck. It was an emotional win for the Dane who is struggling with rheumatoid arthritis and she was in tears afterwards. “Last year I had some special memories and just to be able to be back out here on Rod Laver Arena is something extremely special and emotional,” she said. Second seed and 2016 champion Angelique Kerber was also impressive, breezing past Slovenia’s Polona Hercog 6-2, 6-2. Maria Sharapova, a winner at Melbourne in 2008, signalled her intent with a rare 6-0, 6-0 double bagel demolition of Britain’s Harriet Dart. Playing in her 15th Australian Open, the three-time finalist said she was pleased to go through so easily as she battles back from injuries. “I’m still working through some painful days. But, you know, I felt like I did all the right things today in order to get through that match,” said the Russian. Eleventh seed Aryna Sabalenka, widely tipped as a potential future champion, also safely negotiated round one on a hot day. But Germany’s 14th seed Julia Goerges was knocked out, as was former French Open champion Jelena Ostapenko. Britain’s Katie Boulter, meanwhile, created a slice of history by becoming the first woman to win in a third set tiebreak — a new rule introduced to the Open this year, beating Russia’s Ekaterina Makarova 6-0, 4-6, 7-6 (10/6).